There are many things that I love about living in DC. 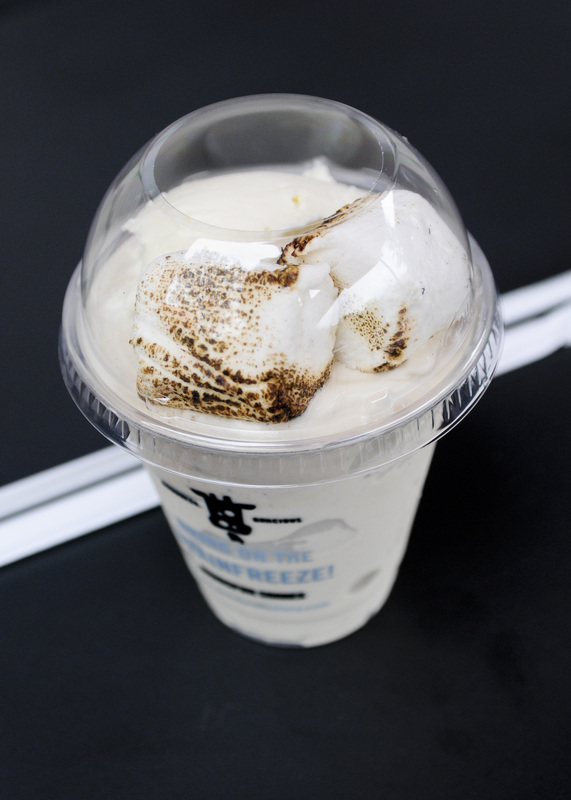 I would like to share one of my favorite things with you here and it is this drink of perfection, the toasted marshmallow milkshake from Good Stuff Eatery. Do I love it because I love marshmallows? No. Do I love it for its perfect texture, delicious dollop of whip cream, or topping of actual toasted marshmallows? No. I love it because it actually tastes like its name. And I like things that fully take on the taste of their namesake. Come to this city, drink this shake. Second thing I love. 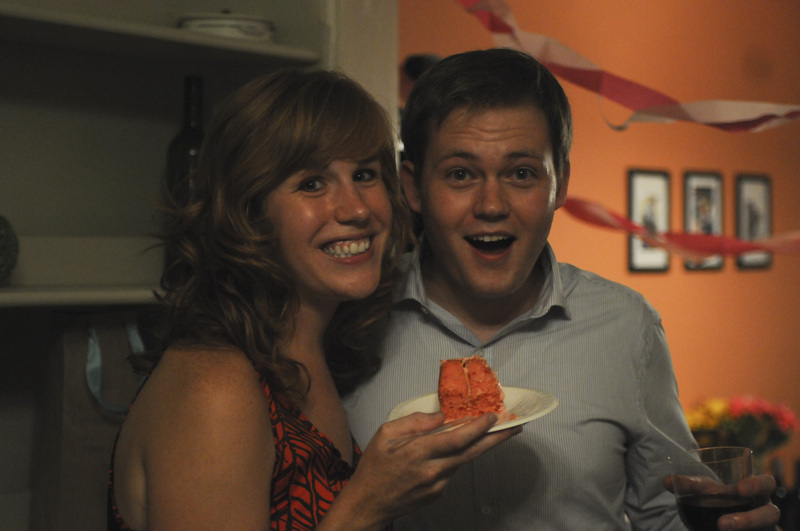 And yes, he did make that wonderful pink cake himself for my birthday. And he allows me to whine about the things I hate about DC. By things, I pretty much mean thing, ie, trying to drive in and out of the city and inevitably missing my exit every time and thus being forced to basically drive all the way to Baltimore just to turn around. But I digress. This entry was posted in Uncategorized and tagged DC, dessert, love, restaurants. Bookmark the permalink. I enjoy that there is a diabetes add beneath the picture of you two and the cake.